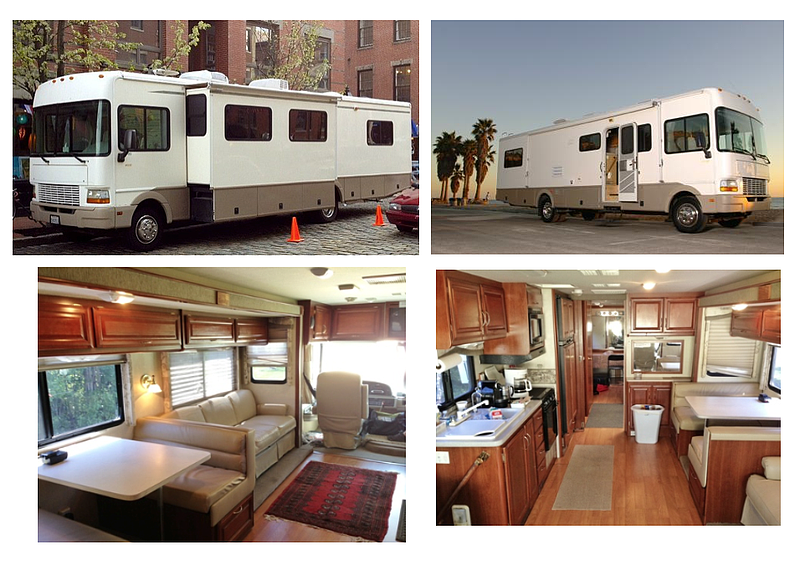 We have the only production motorhome in Maine. Our 37' Class A Bounder is customized for production including wardrobe area with heavy duty racks, hair & makeup station, kitchen, cappuccino maker, Wi-fi and more. Our drivers are the best in the business, and are ready to help your crew however they can, whether that's bringing out a great snack at just the right time, holding scrims, running wardrobe out to set, making custom coffee drinks or baking homemade cookies. We keep the motorhome clean and do whatever we can to keep the crew happy and comfortable! Please contact us today for rates and availabity.